Congratulations - your data has been successfully migrated into Apto! To begin, please log into your account (in Google Chrome, go to login.salesforce.com > enter Username and Password > click Log In) and then you can get acquainted with where your data is located by tackling the most commonly asked questions from our users below. How do I view all of my records? PRO TIP: Recently Viewed is the default view any time you click on a new tab - this is a limitation of Salesforce (new function being added in 2019) and Apto cannot change this. However, after you have opened All Companies the first time, you can then use the drop down icon (V) to the right of the Companies tab name to access All Companies quickly. How do I search for a specific record? PRO TIP: When searching for a record, Apto will show you the 'top 5 hits' based on usage of particular records and what you need, may not be displayed in the 'top 5 hits'. To search for additional records simply hit the return/enter key on your keyboard or click on the magnifying glass with the search term right under the Search Salesforce box. Help me understand how to read a record in Apto. All record pages have the same look and feel in Apto, but the Contact record page in particular, is a great place to begin understanding where your migrated data now resides in your new system. The Details tab provides you with the necessary information for that particular record and these details typically don't change much over time. It is where you will find the Contact's name, phone number, email, and address. IMPORTANT NOTE! Some data from your previous system may not have had a 1:1 match, but you haven't lost any of that valuable information! It can be found in the Description box on the Details tab (as seen below). The Related tab will show you how that specific record is associated to other records in the system. These are relationships, that over time, will most likely change. For example, on a property, the Ownership of that building will change and there will be multiple Listings. IMPORTANT NOTE! A property is NOT a listing. A Property is a building (with it's related spaces) or a piece of land located at a particular address. A Listing is what happens to the building over time. The power of Apto is to demonstrate the history of that property in the Related tab and not just what the current status of that building is on the Details tab. Please take some time to look through your data to ensure that everything has been imported. If you see anything that doesn't seem right, please let us know as soon as possible so that we can make the necessary corrections. You can also reference your data map guide provided prior to your data migration, for additional information. Keep using Apto! This will help you to quickly adopt your new system and start building efficiencies into your daily workflow (did you know our current users experience on average a six hour increase in what they can do weekly...in as little as 90 days). Visit our online Help Center to quickly find Knowledge Base Articles and Videos. 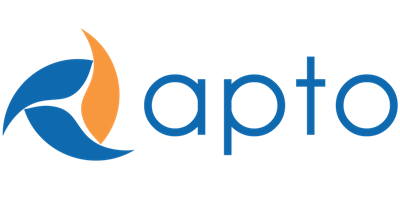 Sign up for any of our free Apto University Live Learning Sessions with one of our trainers. Reach out to our Customer Care team by submitting a Help Request Ticket with specific questions (you can also email customercare@apto.com for assistance).